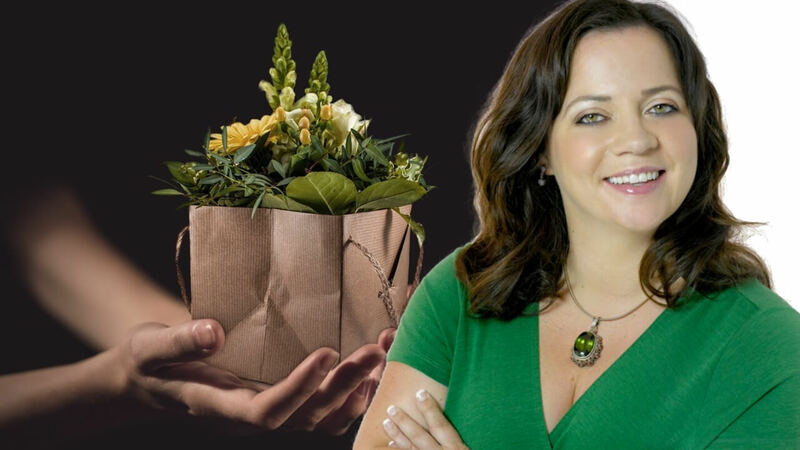 I was recently speaking to a business consultant about Online Profits University. 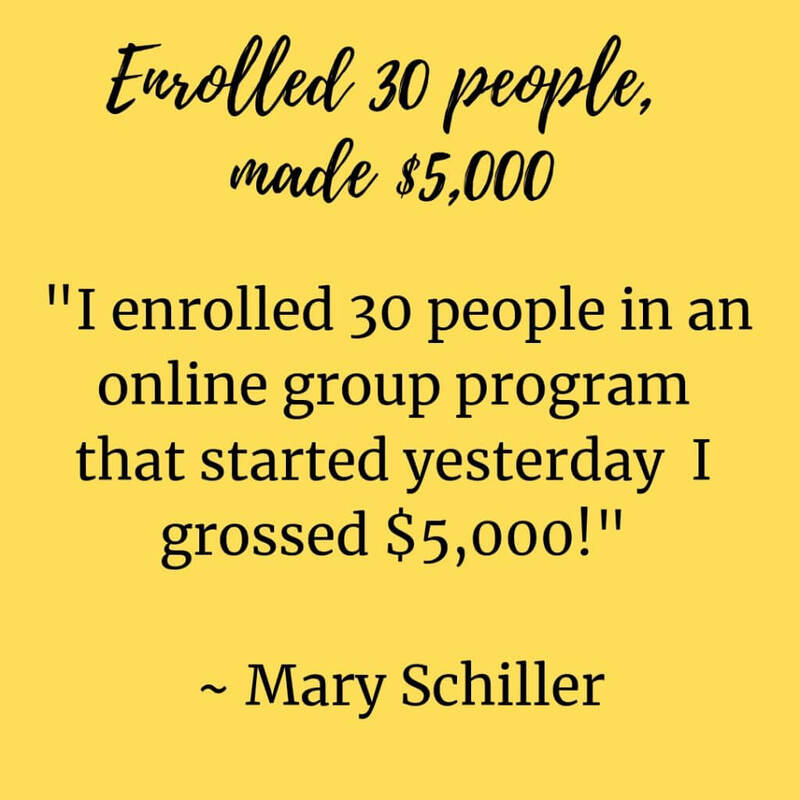 She asked, “Online Profits University sounds brilliant. But, I’ve done other programs in the past and I didn’t get the results I wanted. How is Online Profits University different? 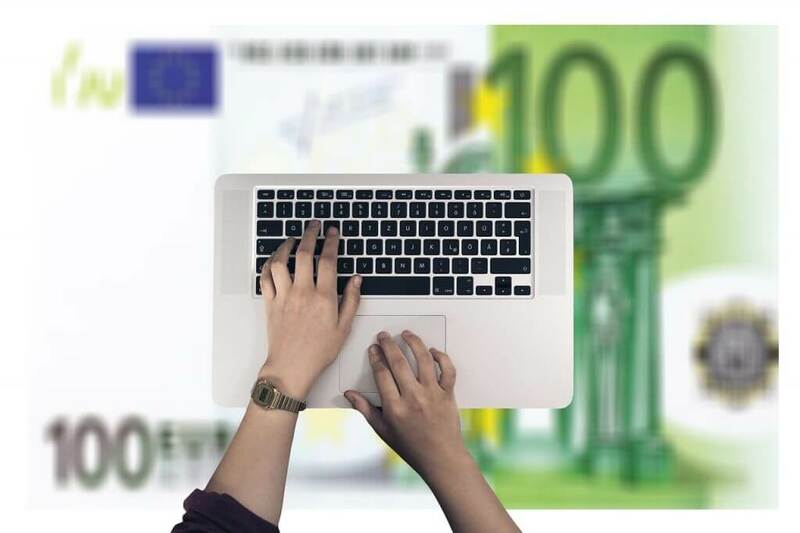 How is Online Profits University different? Now, that’s a great question. 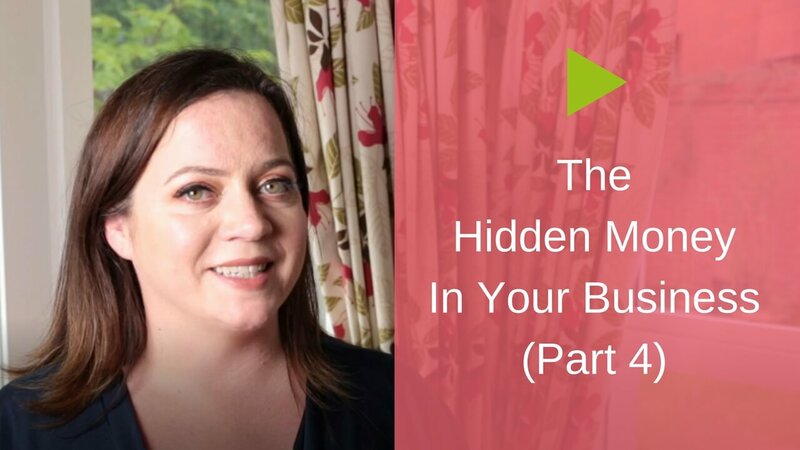 The first thing we need to ask is why you haven’t got the results you wanted in the past. Did you take action? As Maya Angelou says, nothing works unless you do! If you took action and still didn’t get results, maybe it was that the strategies weren’t relevant to your market or stage of business? 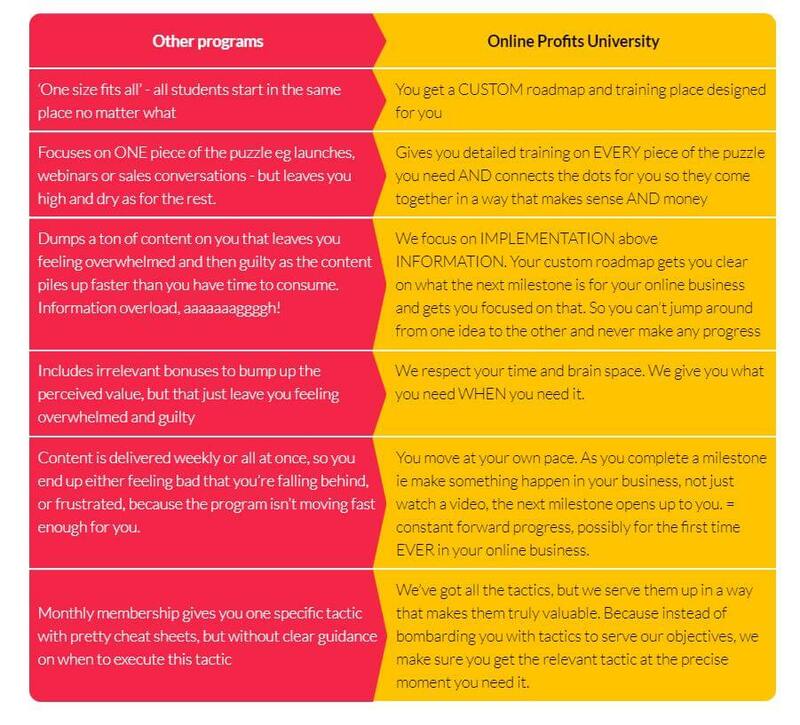 One of the reasons I created the Online Profits University is because there are so many programs out there that give you just one piece of the puzzle. 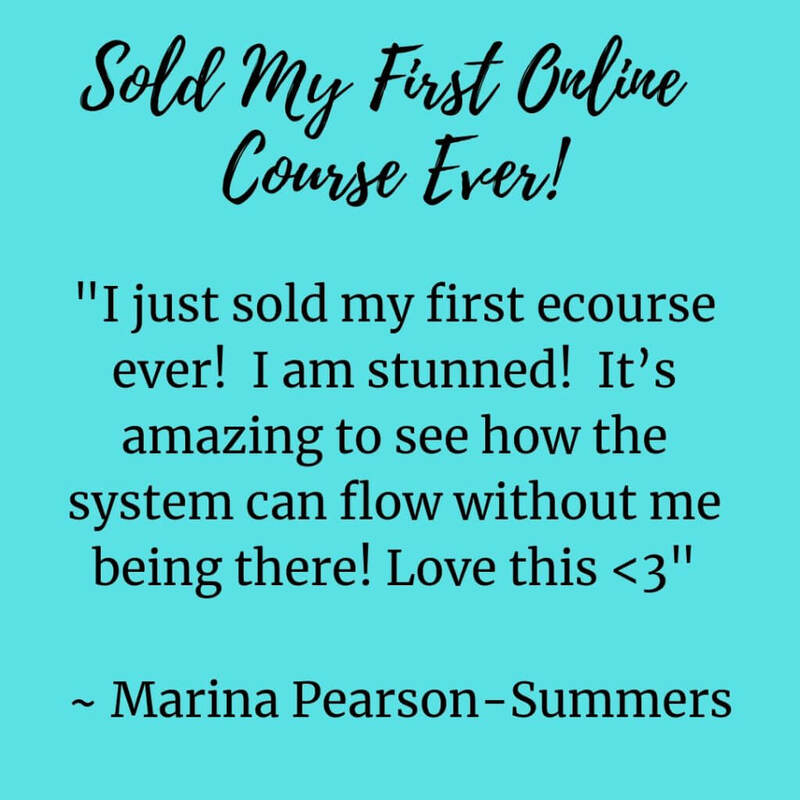 There's nothing else that connects ALL the dots and gives you EVERYTHING you need to create a profitable online business. Maybe you DID get results, but they didn’t match your expectations. 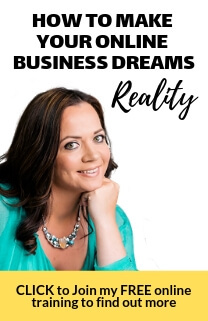 I can tell you right now that if you’re starting from scratch and want to grow a million-dollar revenue business it’s probably going to take 4 years and consistent effort to get there. 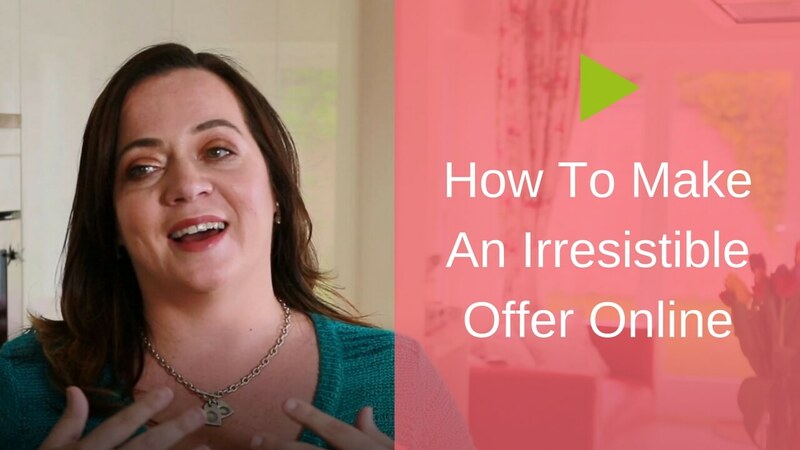 First, growing a list of people who have expressed an interest in what you’re offering. Second, having the right systems and mechanisms in place to convert that interest into paying business. AND continually increase the value per subscriber as you do. When you focus on these two numbers it’s impossible to not succeed. The facts are clear. 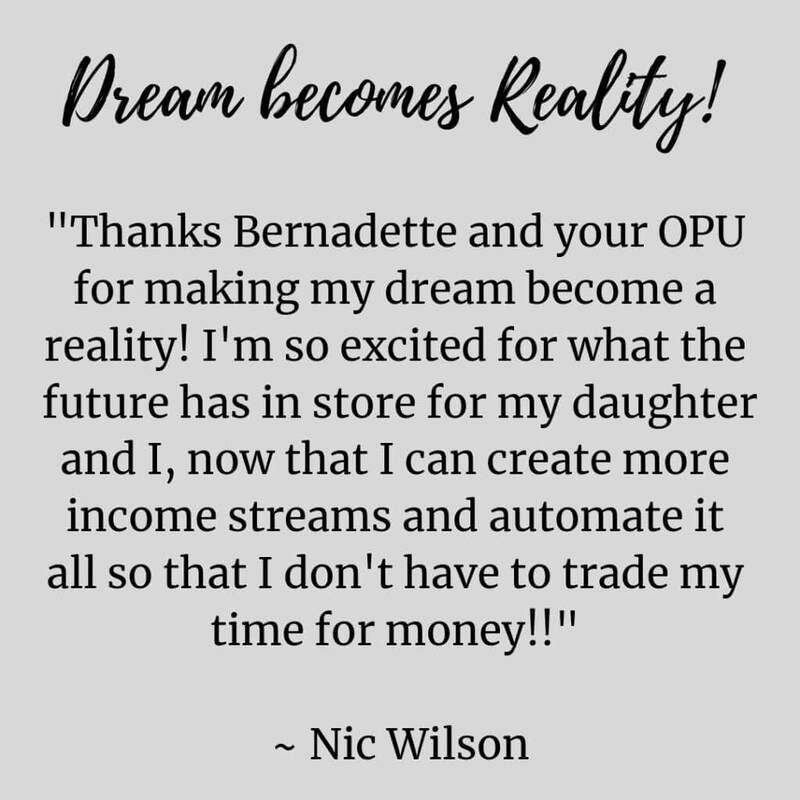 If you’re serious about growing your online business without wasting time or getting demoralised or frustrated, there can be only one choice: Online Profits University.